TThe Knysna Oyster Festival is the perfect combination of sport, food and family time. It consists of fun sports challenges, live entertainment, food and wine stalls. 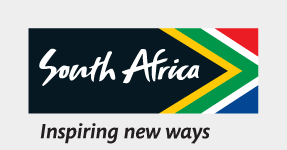 The festival offers a diverse programme of sport, gourmet offerings and family activities, and attracts more than 50 000 visitors to Knysna every year. The varied programme caters for all ages and interests. The BIG5 Sport Challenge is most certainly one of South Africa’s most scenic multi-disciplinary competitions, and it includes cycling, running, trail running, swimming and paddling. The Momentum Weekend Argus Knysna Cycle Tour, as well as the Cape Times Knysna Forest Marathon and Half Marathon are two of the most popular events on the cycle and running calendars. Combine these with the iconic Featherbed Trail Run, the Momentum Health Oatwell, as well as a multiple events featuring oysters, wine and great food, and this is definitely one of the best options for your midyear break.